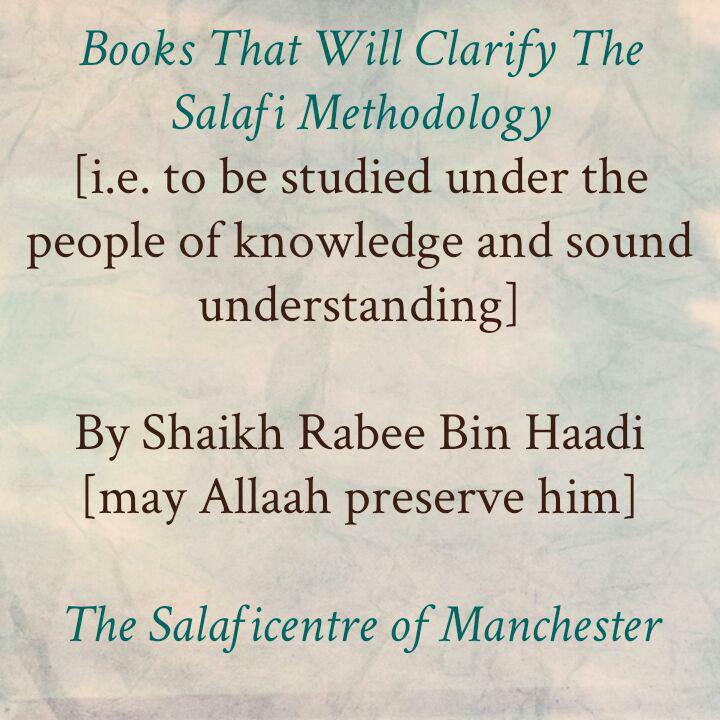 Question: Which books do you advise the student of knowledge to read-those that give special attention in making clear the Salafi Methodology for him? Answer: Firstly, I advise myself and my brothers [to concentrate on memorising and studying] the Book of Allaah [The Mighty and Majestic], for in it is guidance and light. It is the main foundation of Islaam and the Sunnah is its explanation and clarification. Thereafter, study the guidance of the Messenger of Allaah [sallal-laahu-alayhi-wasallam] from the Saheehayn [i.e. Bukhaari and Muslim], the four Sunan [i.e. Sunan Abu Dawood, Sunan Daraqutni, Sunan Ibn Maajah, Sunan Nasaa-I, Sunan Al-Kubraa of Bayhaqi], the Masaaneed [i.e. Musnad Ahmad, Musnad Abu Dawood At-Tayalisi, Musnad Ad-Daarimi, Musnad Abu Ya’laa etc], the Jawaami (1) and other than them. I advise the students of knowledge to study these three Books of the Sunan which have been [transmitted] with authenticity from the Messenger of Allaah [sallal-laahu-alayhi-wasallam], and that they study some of the books in these Ummahaat [i.e. books in Bukhaari, Muslim, Nasaa’ee, Abu Dawood, Tirmidhee, Ibn Maajah] and that they firmly concentrate on them in particular. That is because they are connected to the fundamental principles of the religion, such as kitaabul Ilm [the Book of Knowledge] in Saheeh Al-Bukhaari and kitaabul Imaan; for indeed Imaam Bukhaari narrated in this kitaabul Imaan ahaadeeth in order clarify the methodology of Ahlus Sunnah Wal Jamaa’ah in the subject matter of Imaan, and in their chapter headings he rebutted the Murji’a- those who are in opposition to this fundamental. And he firmly placed in this great book [i.e. Saheeh Al-Bukhaari] the Book of Itisaam [.e. the book of holding onto the way of the Prophet], the Akhbaarul Aahaad and kitaab At-Tawheed. That is because these [affairs] are connected to the fundamentals of the religion and they are very important. It is obligatory to have an understanding of them after acquiring understanding of the Book of Allaah [The Most High]. Likewise, concentrate on kitaab As-Sunnah in Sunan Abee Dawood because it is a very important fundamental and it agrees with Saheeh Al-Bukhari in these affairs that we have mentioned. And in it is a notification about bidah-the bidah of the Jahmiyyah, the khawaarij and other than them. It distinguished the Aqeedah of Ahlus Sunnah and its Madhab from the deviated Madhabs. So the fundamentals in this subject matter are to be studied. Likewise, [study] kitaab Al-Ittibaa of Ibn Maajah [i.e. the book of following the Messenger] and khalq Af’aal Al-Ibaad of Bukhaari [rahimahullah), because through it a person comes to know of great fundamentals from the fundamental principles of Ahlus Sunnah Wal Jamaa’ah about affairs related to the Qur’aan, the affairs of [sound] creed, the Jahmiyyah [i.e. a deviated sect] and other than them amongst the people of bidah and misguidance. Likewise, [study] the first section of Sharhus Sunnah of Al-Baghawi because it concentrates on this subject matter. And “As-Sunnah” of Al-khallaal, Sharh Usool Al-ittiqaad Ahlis Sunnah of Laalikaa’ee, Al-Hujja of Asfahaanee, Al-Ibaanah of Ibn Battah and what is similar to that. 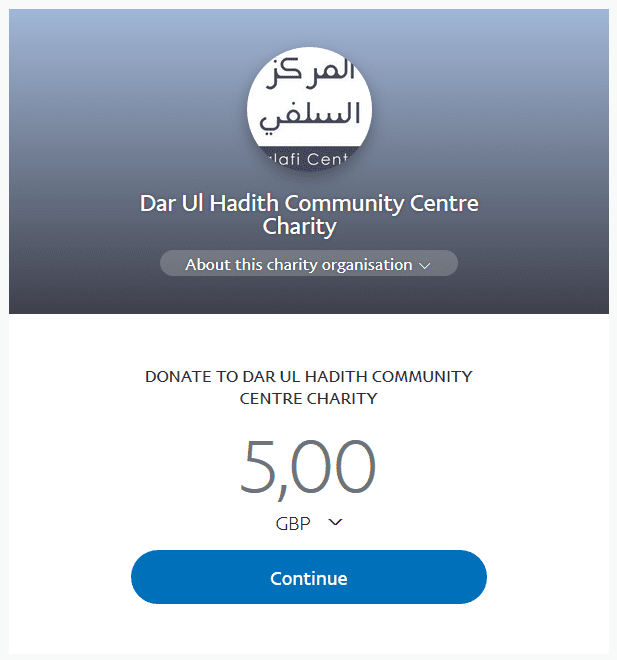 Then the books of Shaikhul Islaam Ibn Taymiyyah and Ibnul Qayyim [may Allaah have mercy on both of them], because in them there is an unequivocal and sufficient clarification of the fundamental principles of the religion and its subsidiary affairs, and all praise is due to Allaah. In these affairs of knowledge there is life [for the hearts]. Learn the Qur’aan, the (sound) creed, the (sound) methodology, the (sound) fundamentals and the (sound) subsidiary affairs (of the religion) in a manner as if you were acquiring them from the mouth of the Messenger of Allaah (sallal-laahu-alayhi-wasallam), and likewise all the books we have mentioned in a manner as if you were acquiring them (directly) from the mouth of the Messenger, the Sahaabah and those who followed their path. Ibn Taymiyyah did not become outstanding, vast in knowledge and well established in clarifying the truth except after learning these books. So we should study these books and these chapters from them, and may Allaah bless you.